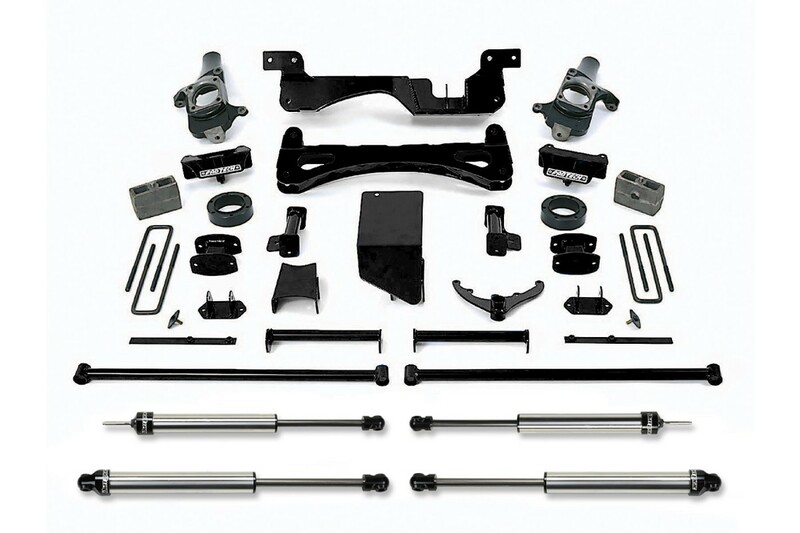 Our 6" system for 2001-10 GM HD’s has been designed to provide superior suspension performance for daily driving or for offroad. This is accomplished using our proven one piece lower control arm crossmembers and extended length steering knuckles with a multitude of shock absorber options. 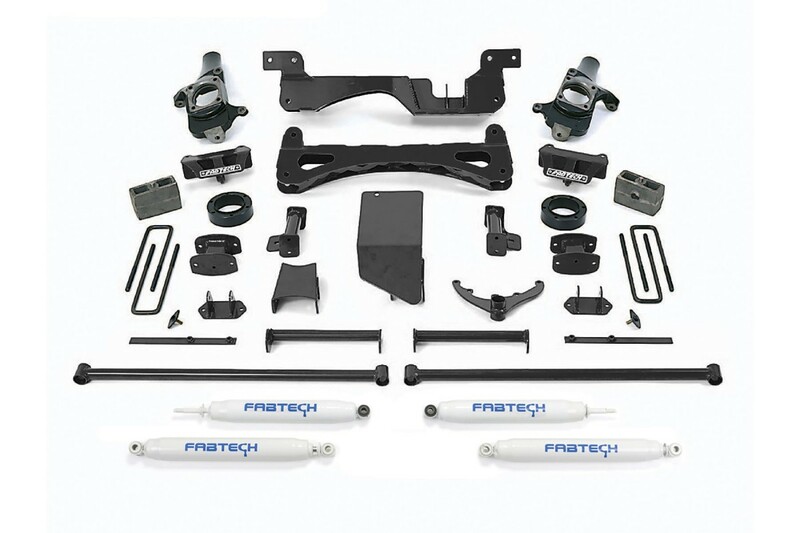 The 1/4" thick arched lower control arms crossmembers include an integrated front differential skid plate, crossmembers support tubes and rear impact struts to distribute front suspension impact loads through the frame evenly. A new knuckle design was introduced in 2007 with this system that provides reduced track width to keep the tires under the fenders. 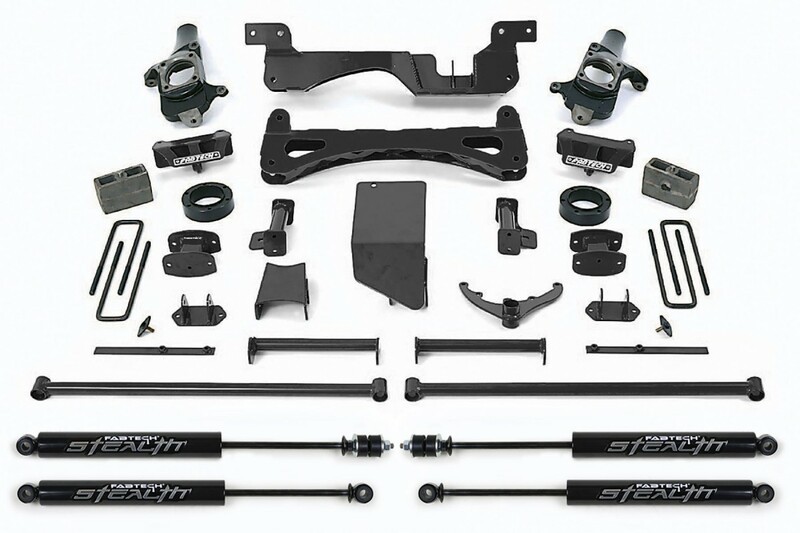 This system also includes torsion bar drop mounts, extended length sway bar links with urethane bushings, front and rear bump stop brackets, and rear blocks. Stealth is the first all black monotube shock absorber, with an identifiable raised metal nameplate, that represents the signature of quality you can rely on for a superior ride at an affordable price. Stealth monotube shocks are built with a 46mm diameter high flow piston and vehicle specific valving, for a great ride with oversized tires. All Stealth shock absorbers feature Nitrocarburized piston rods that are superior to chromed rods in durability and corrosion resistance. These Nitrocarb piston rods are finished in matte black for a complete black out shock package. 14. Can not use OEM wheel & tire.